So, the cover reveal for BRUISED was a smash, and we gave away some awesome books, posters and swag. With the swell of support, BRUISED released on May 13th and briefly stuck at #27 on the Supernatural Thrillers list! Hopefully that initial interest can be sustained. 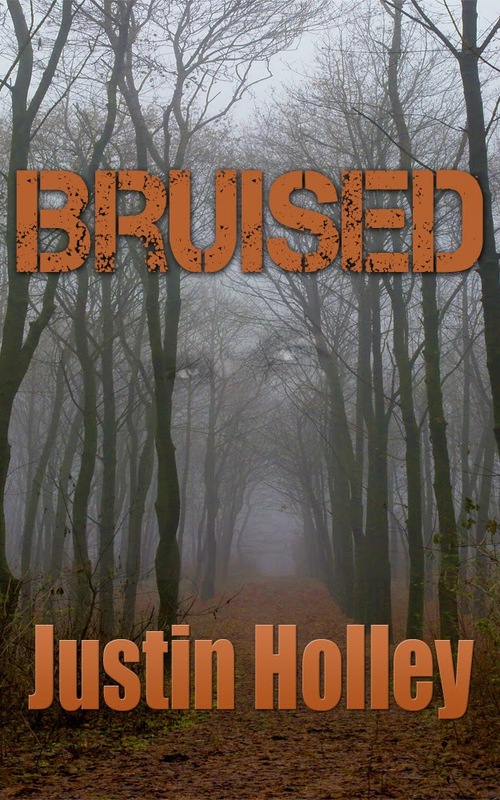 So, I finally got to see the intense and spooky cover for my debut novel, BRUISED, which releases May 13th 2015. And now, you can see it too. In fact, I'm so grateful to the many people who helped make this happen, I'm throwing a party, a contest, with giveaways from some of my friends. 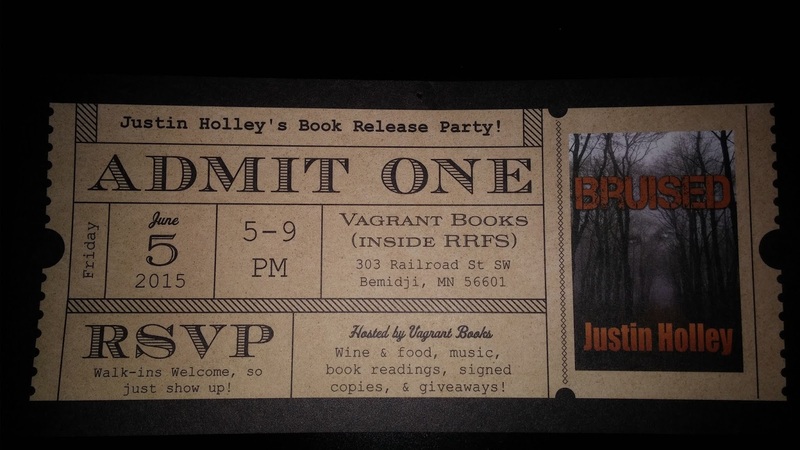 I'll also throw in a signed copy of BRUISED to round out the prizes. It's simple! All you need do is check out the prizes below and the reveal of my cover at the very end. Then you can get your name in the hat up to four times: once when you comment on this blog post, twice more when you mention me and BRUISED on Twitter (include @justin_holley) and Facebook (please also post on my author site Justin Holley - Author to be sure I see it), and yet again if you recruit someone else to do these things and they drop your name. That's right! Your name could go in the hat up to four times if you care to put in the work. This shall go on until Friday, May 8th and then I'll draw "the names". I'll contact each winner either via e-mail or discreetly through social media for mailing details. 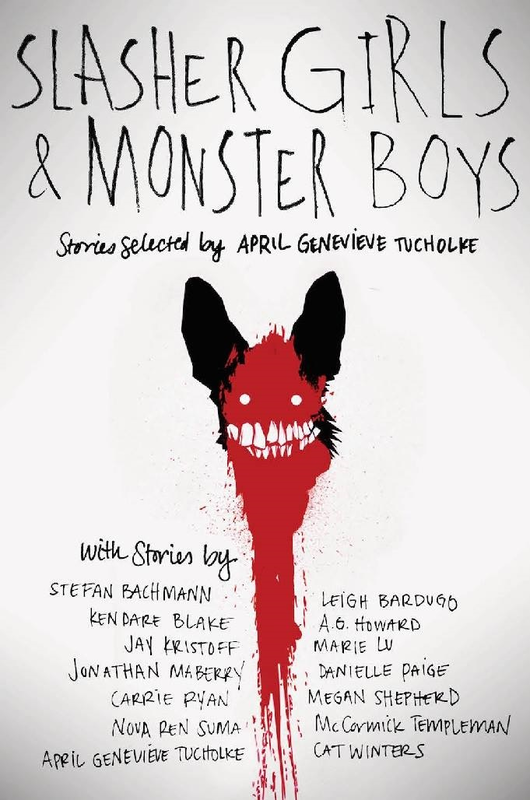 A.G. Howard, best-selling author of the Splintered series, brought over five--yes five!--awesome posters from the YA horror anthology her work is featured in, entitled Slasher Girls and Monster Boys! Did I mention they're signed?? What? Yes! Angela V. Cook, author of the awesome-book Into A Million Pieces, brought a signed copy of her novel. Just look at that beautiful cover! Awesome-author Bethany Crandell brought over a bag of swag all tied into her fantastic novel Summer On The Short Bus. A. Lyndon Rolland, awesome-author of the deliciously spooky book Of Breakable Things, also brought over a signed edition of her novel. Okay, finally, the cover reveal of BRUISED. Please refrain from licking your screen as it can lead to electrocution. Available May 13th, wherever books are sold.